Our test 2014 MDX came to $49,460 including the Technology Package. Fish and visitors become unpleasant after three days, goes the old saying. But after five days with a 2014 Acura MDX, this tester is hard-pressed to think of something egregiously disagreeable about the premium mid-size crossover. The third-row seats aren’t welcoming to adults? Fuel mileage was at the low end of the EPA ratings? Sorry; that’s about all I’ve got. In virtually every other aspect, the all-wheel-drive MDX with Technology Package in this test was a pleasure to drive and ride in. A smooth powertrain, plush cabin, raft of tech gadgets, and easily configurable cargo space make it a good value at $49,463 delivered. Whether front-wheel or all-wheel drive, MDXs come with a 290-horsepower 3.5-liter V6 that seems happy—and quiet—on the street and on the highway. It is paired to an extremely smooth and unobtrusive 6-speed automatic transmission that can be manually paddle shifted. The only flaw was 20.1 mpg from the 236.6 miles covered (68 percent of them under city driving conditions). That’s right at the 20 mpg the EPA figures for a city-driven MDX. The fully independent suspension did an excellent job of quelling jolts from road imperfections, and light but responsive steering made the tested MDX feel a little smaller than a three-row crossover probably should. Prompt and undramatic braking further fostered the driver’s sense of vehicle control. Interior appointments include comfortable leather seats, plus wood and bright-metal accents on the instrument panel, doors, and console. What few unpadded hard-plastic surfaces exist are generally low and out of the way. The glove box is lined in “mouse fur”—even the inside of the door, which lowers slowly rather than rudely plopping open when the release is pressed. The analog speedometer and tachometer are easy to read, as are digital message displays that appear on a screen between the speedo and tach dials. A small array of control buttons sits below the audio/navigation display screen in the middle of the dash. Below them, but still in easy reach, are the climate-control buttons and levers (toggle switches are used to raise or lower temperatures in the automatic tri-zone heating and cooling system). It’s perhaps not as convenient a setup as dials, but we’ve seen worse. Thumb controls on the steering wheel make it easy to work the audio system once programmed. One quibble: The display screen is hard to read while wearing polarized sunglasses. The Technology Package constitutes the first step up from the base MDX, adding $4275 to the sticker. It adds a bunch of techie-tempting features like a navigation system with real-time traffic information; a premium 10-speaker audio system with 15 gigabytes of media storage, Bluetooth AM/FM tuner with HD Radio, satellite radio, and voice-recognition capability; and safety features like blind-spot information, forward-collision warning, and lane-departure warning. Other pot-sweeteners in the package are rain-sensing wipers, “puddle lights,” and 19-inch alloy wheels. You have to move all the way up to the line-topping Advance Package to get precollision braking assist and lane-maintenance assist, but this driver got numerous demonstrations of the Tech Package’s collision and lane-departure warnings at work over the Labor Day weekend. MDX may not sport the plushest cabin in the class, but everything you touch feels substantial and well put together. As noted, third-row seats are no great shakes for adult comfort, with a low cushion that will require knees-up sitting. At least spry youngsters will be able to reach them easily enough: A single button on each of the divided middle-row seats folds the seat back and frees the seat to slide forward, opening access to the third row. A single lever, accessible with the power liftgate raised, lowers the third-row headrests for better straight-back visibility and/or retracts the third-row seats to form a very large, flat cargo floor. Middle-row passengers can sit three across because the floor is flat—even in models, like the one tested, with Acura’s Super Handling All-Wheel Drive. There was generous leg room in the seat behind the driver as set up for this 5-10.5 tester, but taller front-row occupants will crowd out some of that second-row comfort zone. Head room is good in the first two rows, as is entry/exit flow. Interior storage is very good, with large map pockets in the doors, a generous glove box, a deep two-stage console box, and a covered compartment in the console with a USB port and power points. In many ways, Acura is becoming what BMW once was. And while I lament the complication that is now inherent in driving many BMWs, I applaud Acura vehicles for remaining as fundamentally simple as any new luxury vehicles can be. And so it goes with the MDX. 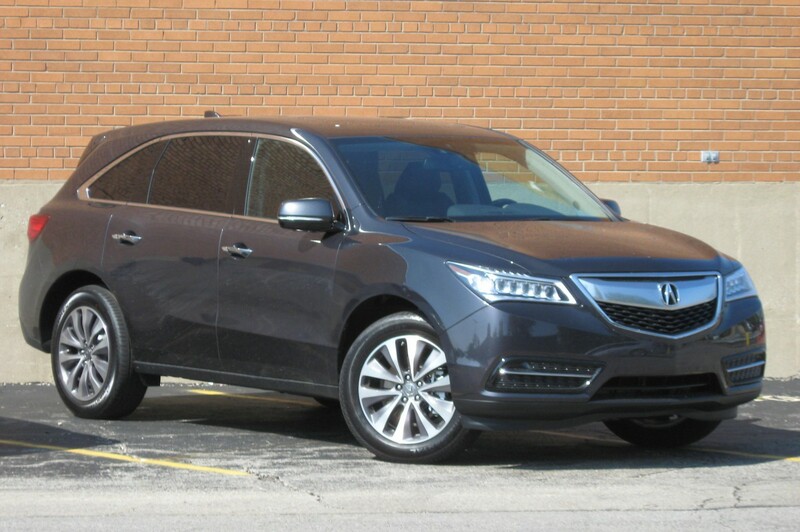 All new for 2014, MDX remains a fun, functional, upscale crossover with little distraction coming between the driver and the road. Driving the new MDX remains a joy, and like the last iteration, it is the steering and handling that impress most. Yet, despite a small on-paper drop of 10 horsepower from 2013, the new 3.5-liter “Earth Dreams” V6 (replacing a 3.7-liter mill) delivers immediate and rewarding thrust, and sounds fantastic going about its business. Our test car sported the Technology Package, which includes the available 19-inch wheels. Despite the aggressive rubber, the MDX rides well, in the Euro-firm tradition. And in the Euro style, some road noise, never excessive, does make its way into the cabin. Inside, the MDX is classy in a muted sort of way. Materials quality is good-to-very-good, and assembly quality top notch. 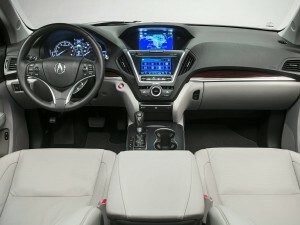 My sole complaint with the MDX has to do with the fussy audio controls. Using a touch screen to tune the AM radio or scan for a satellite station is a nightmare, no matter how plainly marked the controls are. Unfortunately, the controls aren’t that plainly marked. That said, were the MDX my own ride, I would have all my favorite stations programmed in and be able to skip through them using just the steering-wheel controls. Ultimately, Acura had the good sense not to mess with the MDX’s core goodness, which is its sporty, entertaining on-road nature. 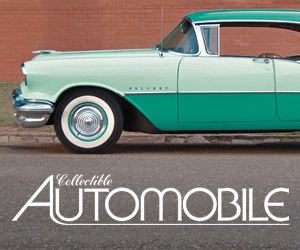 Keeping this popular middle-of-the-lineup model just under $50,000 helps it look like a value, too. 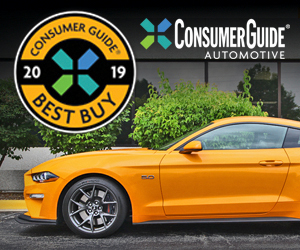 Written by: The Daily Drive staff on September 4, 2013.on February 25, 2019.